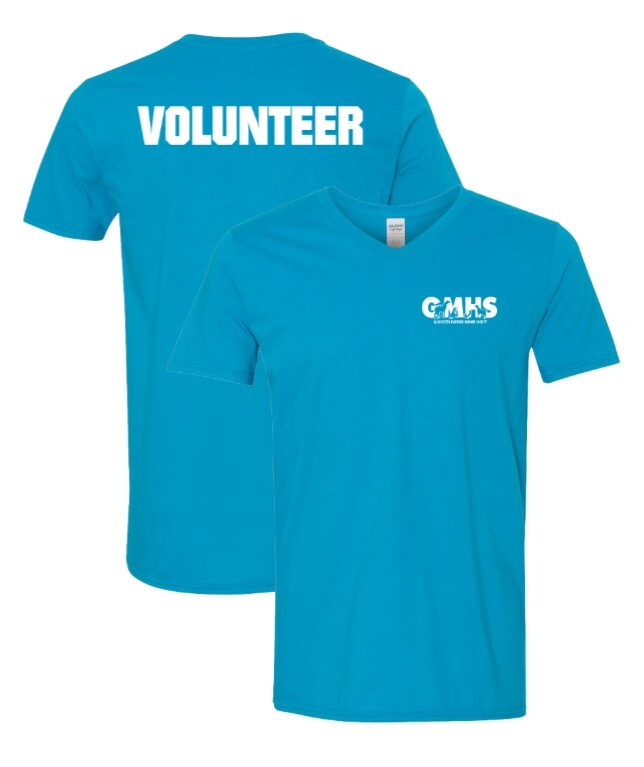 As a member of the GMHS Volunteer Team, volunteers must purchase a teal, short-sleeve shirt. Volunteers may choose between a crew neck or v-neck. 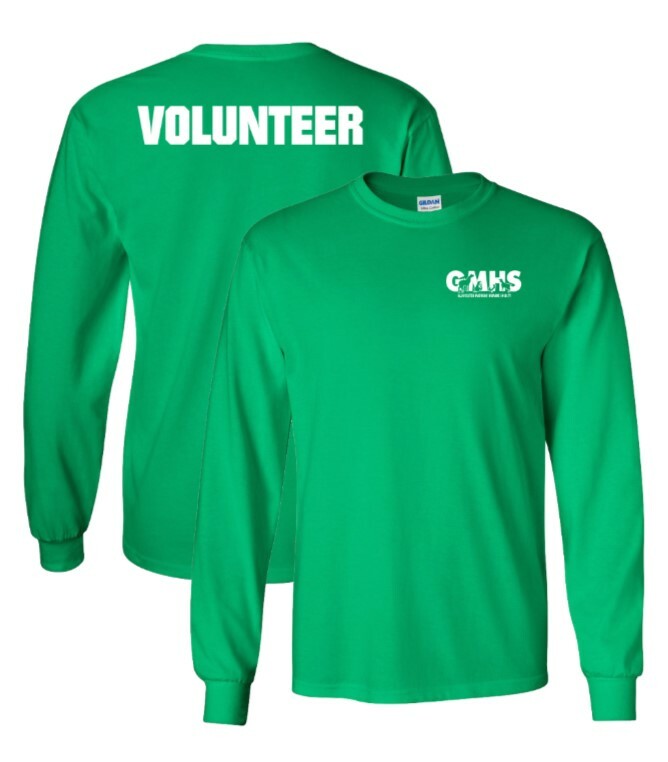 If interested, volunteers can also purchase long-sleeve t-shirts in a variety of colors. 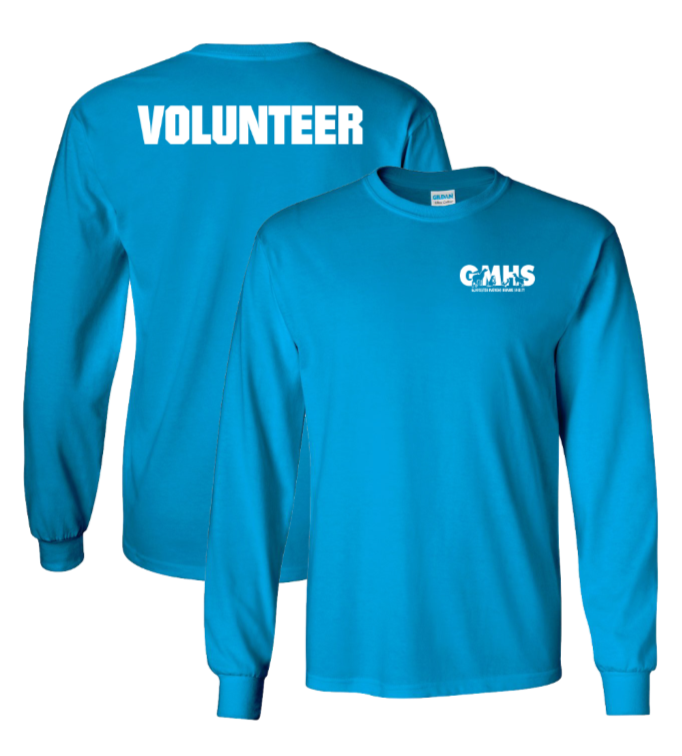 All long-sleeve t-shirts are crew neck. 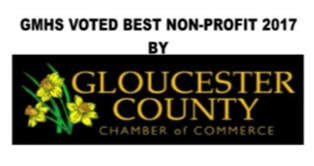 Pictures and purchase options are below. Welcome to the GMHS Volunteer Team!